Professional Website Design opens the door to todays technology, refreshes your brand, and increases leads. We provide cutting-edge, innovative, unique, website design. You get an amazing website that works everywhere. All new websites we create are “Responsive” so they look great in any browser - from large desktop monitors all the way down to smaller screens like tablets and phones. Beautiful looking and perfectly working websites are designed by professionals. In order to create a successful website design, IC9design listens to you and learns about your organization. We pick out the jaw-dropping parts and those that instill confidence in your business. Then we take that information, inspiration, and passion and transform it into a media rich site. 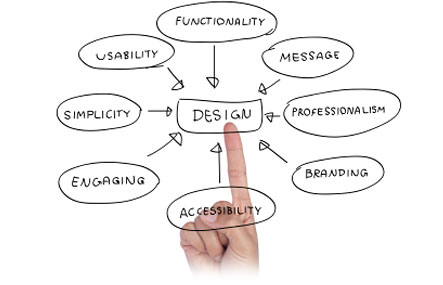 The design entices visitors to interact with your products and services. The development guarantees visitors will quickly find what they need. Take pride in your website. It's absolutely essential to business success. 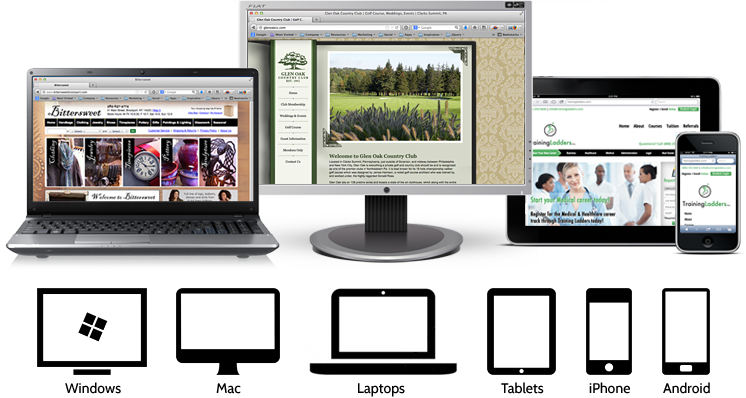 Every new website we are tasked with is now built using "Responsive" design. That means we build you ONE website that works perfectly on all browsers and devices. Your website will look fabulous on everything from a desktop computer or laptop to tablets such as the iPad, Samsung Galaxy Devices, Kindles, Google Nexus, Nokia Lumia, Blackberry, and Microsoft Surface. And we’re not done yet! 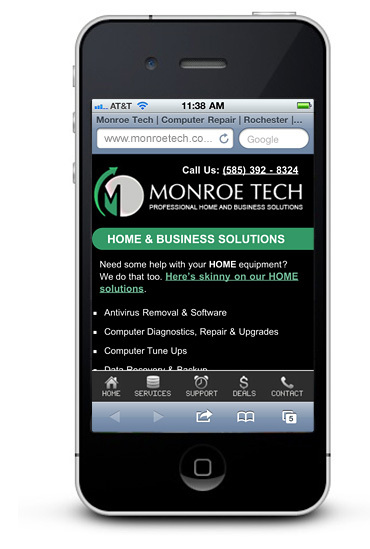 Your site will jump to life off the screen of smaller devices too (think phones). Thanks to today’s web technology, we've moved beyond creating separate "mobile" versions of a site for different devices. IC9design now builds all new websites using "Responsive" design, completely eliminating the need for multiple "device dependent" websites. We know what you’re thinking – “How does this make things easier for me?” Well, there are a number of benefits to this new technology. The primary benefit is that you no longer have to update and maintain multiple websites - any changes you make are across the board. It also means you don’t have the high cost associated with designing and developing a whole series of websites just so your Contact Us page can look good on Uncle Ray’s first computer. On smaller devices, visitors just want to skim quickly. Because we know this is the case, we make your most valuable information easier to read (larger text size) and navigate (vertical scroll only, no need to zoom in). Images are also optimized so they load extremely fast. If your website is taking too long to load, especially on a 4G network, good luck getting someone to wait patiently. IC9design creates websites that load instantly without sacrificing quality. And what good is a fast loading website if no one can contact you with a simple touch. All phone numbers and email addresses are "hot linked,” meaning visitors can just touch them to call or email you on the spot. There are plenty of ways to save money on web design and development, but saving money up front will only cost you in the long run. In most cases, your initial savings comes at a high penalty … ZERO customer service and ZERO assistance after your site goes live. Once the check is cashed most developers vanish quicker than a polar bear in a snow storm. NOT US. If you suddenly notice something has gone wrong on your site or you have a brilliant idea on how you can make some improvements just contact us. Maybe your brand has evolved or your customer base has changed. Simply reach out to us and we'll be here ready to make the necessary changes at your request. With IC9design, you always have access to your developer. We’re here to assist you, no matter what. We want you to always be ecstatic about the look, feel, and functionality of your website. We build all websites to be cross-browser compatible. Your site will display correctly in Internet Explorer, Firefox, Chrome, Safari, and a number of other browsers. We have a strict final review process that's used on all of the sites we create. We use standards compliant technology and programming code. The websites we create are always search engine "friendly". This means your new website will have the standard set of components that allow search engines to recognize it. 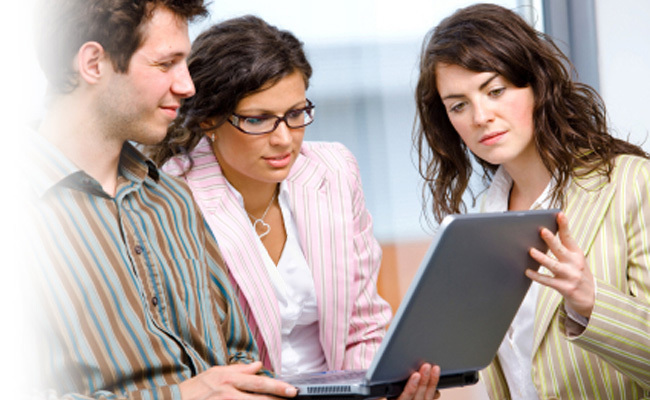 Effective, professional website design and development adheres to the rules of the internet. Complete details on how the World Wide Web Consortium (W3C) defines "web standards" can be found here.